As the number of cyberattacks and data breaches continues to increase, so does the demand for cybersecurity talent. Employers are eager to fill these positions, but many estimates suggest a global workforce shortage in the millions. Cisco created the CCNA certifications to help address this challenge by preparing candidates for associate-level positions. CCNA Cyber Ops is Cisco’s newest certification offering, geared towards candidates interested in security analysis. This two-part certification serves as an entry point to a cybersecurity career. This hands-on three-hour training course provides a crash course in the second exam of the series, the SECOPS 210-255, which completes certification requirements. Join instructor Charles Judd as he walks you through the SECOPS 210-255 exam. You'll get an overview of the important topics you need to know to pass the exam, including threat analysis, cybersecurity forensics, incident response, compliance frameworks, network and host profiling, and intrusion events. Along the way, you'll explore real-world examples and jump into some live lab exercises designed to help ensure success on the exam. You've already passed or have prepared to take Cisco’s 210-250 SECFND exam, and you need to complete the requirements for Cisco’s CCNA Cyber Ops certification. You're working toward an associate-level cybersecurity analyst role within a security operations center. 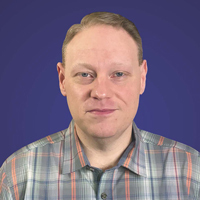 Charles Judd is a content developer and technical instructor at Kevin Wallace Training, LLC (https://kwtrain.com), a provider of self-paced training materials that simplify networking topics. He holds a bachelor of science in network security, an associate of science in applied technology, an associate of science in machine technology, a CCNA in routing and switching, and many other industry-specific certifications. Charles is currently in progress on the CCNP Routing and Switching track. His real-world experience includes a decade of CNC programming and operation, duties as a network engineer for a healthcare and HIPAA compliance-focused managed service provider, and freelance graphic/web designing and IT consulting. Charles lives in central Kentucky with his wife and their three sons.